HEY! I’M NO LONGER THE ONLY PERSON DRINKING VALPOLICELLA! Regular readers will know that I consider Valpolicella to be one of the great drinking wines of the world. It refreshes, it fits with almost any situation, and it’s reasonably priced. A no-brainer for sure. 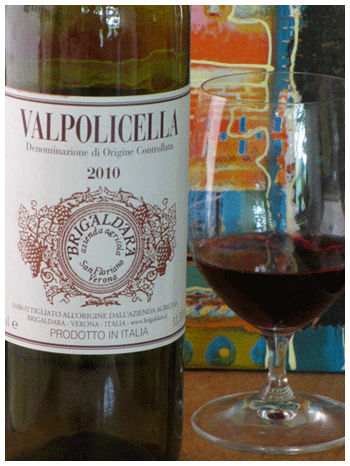 The LCBO has also been touting Valpolicella in recent Vintages promotions so who knows, it may become trendy! Which would be great – getting some people off the ‘smooth/rich/sweet’ thing. While the regular Valpols at the LCBO offer wonderful summer refreshment, they can be a shade too light/tart for some who some who don’t get it. 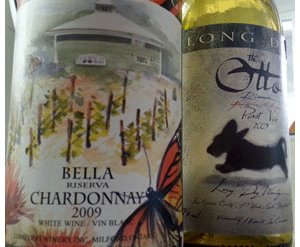 Producers are trying to overcome this obstacle by crafting wines that come close to the Pinot Noir model. Still light/fresh but with a little more flesh and friendly flavours. Turning up the charm and crowd appeal. The Valpolicella below spans all three of my red wine categories. It’s bright, lively with just a trace of something rustic and rich. Italian gusto and nourishment. Hard to think of a food or time that would not be improved with a bottle of Brigaldara. Get your stash for summer. I’m with you on this — there was a release of Brigaldara about 5 years that might have been the best Valpol I have tasted. Fortunately the Control Board seems to be dialing back on the huge number of Ripasso’s they were pushing — not bad wines but to me, nowhere wines.